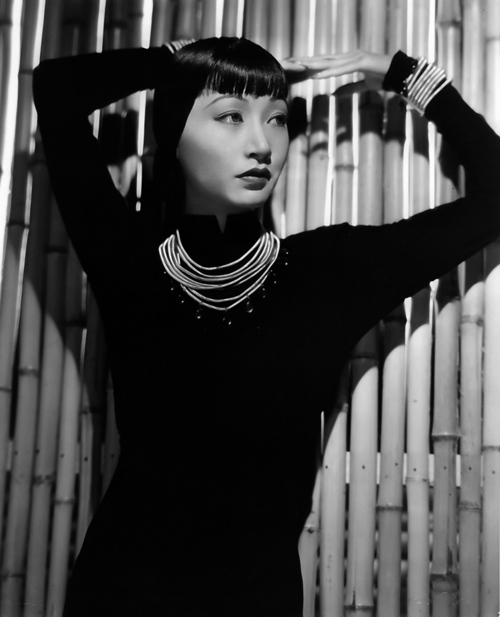 Anna May Wong was born on January 3rd, 1905 near the Chinatown neighborhood in Los Angeles. Born Wong Liu Tsong (meaning “frosted yellow willows”) she was the second of 7 children born to 2nd generation Chinese-American parents. 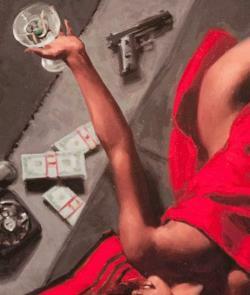 As a child, she became obsessed with movies and spent much of her time in the nickelodeon theaters. 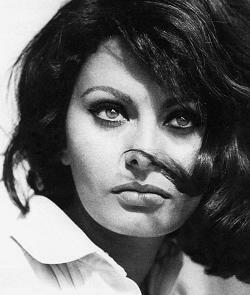 She decided early that her future was on the silver screen, and at age 9 she began to beg film makers in her area for parts. 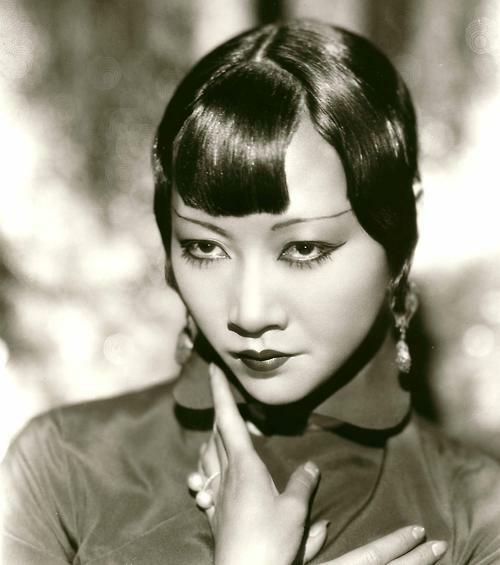 Her relentless begging earned her the nickname “C.C.C.” meaning, “Curious Chinese Child.” By age 11 she had already determined that her film name would be Anna May Wong. 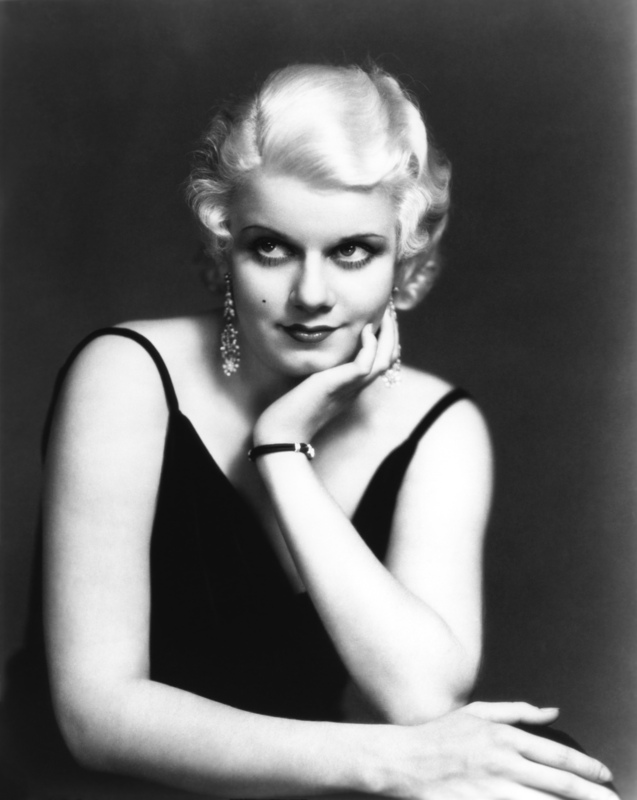 She was an extra in a great variety of films in her early career, and she eventually dropped out of high-school to pursue her acting full time in 1921. At age 17 she played her first leading roll, landing the lead in The Toll of the Sea (1922). 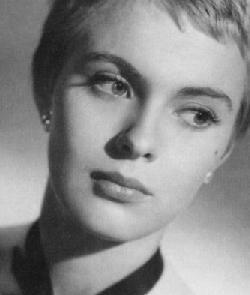 She received great acclaim for the performance, but Hollywood seemed reluctant to provide her with the opportunities her talent deserved. 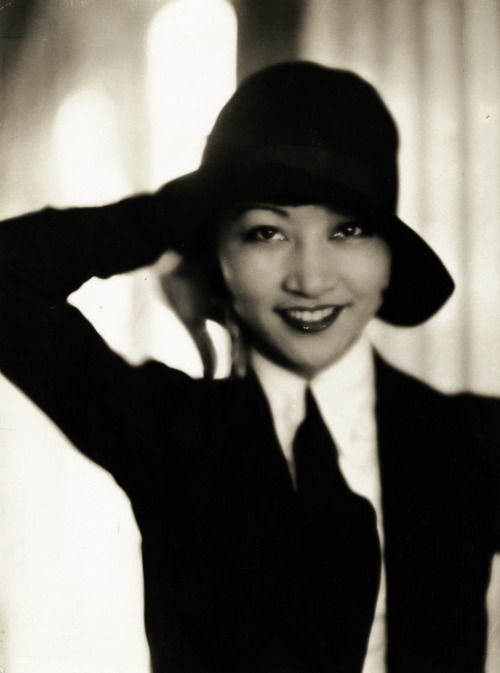 Equally tragic, she was a victim of the U.S.’s anti-miscegenation laws which prevented her from sharing an onscreen kiss with any person of another race (even if that person were a white-male portraying an Asian man). 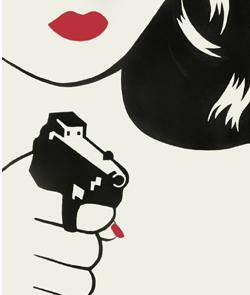 Because there were no Asian leading men, Anna was prevented from becoming a leading lady. 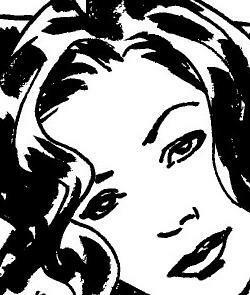 As a result, she was given dozens of supporting roles in which she performed admirably (even if she was disappointed and unfulfilled). 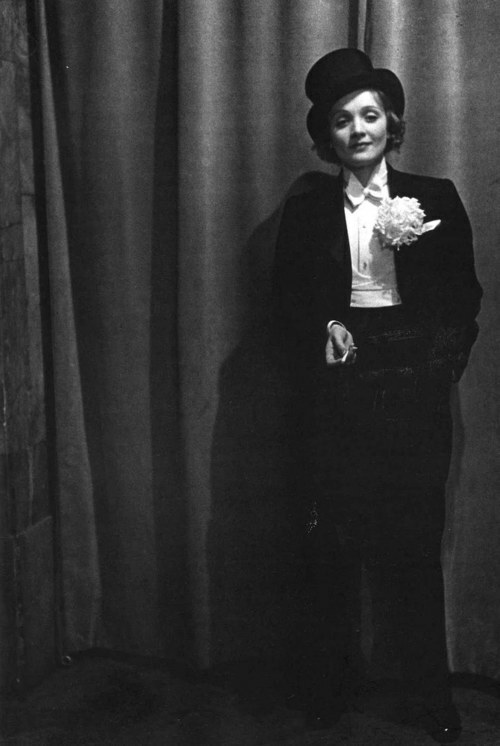 While in Germany, Wong became an inseparable friend of the director Leni Riefenstahl. 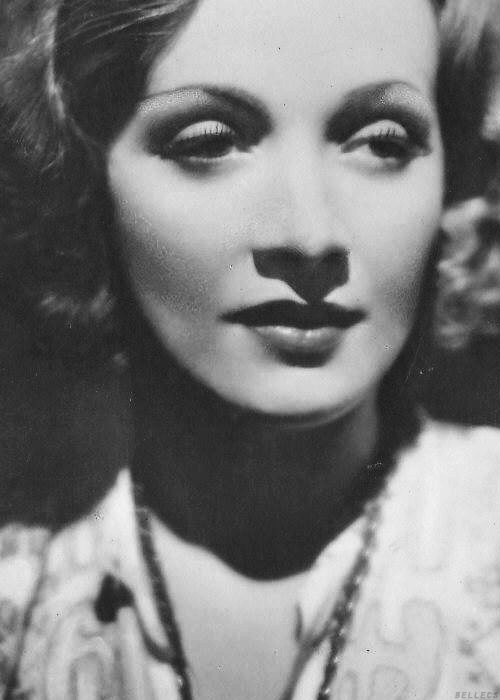 Her close friendships with several women throughout her life, including Marlene Dietrich and Cecil Cunningham, led to rumors of lesbianism which damaged her public reputation.These rumors, in particular of her supposed relationship with Dietrich, embarrassed Wong’s family who in any case had long been opposed to her acting career, at that time not considered to be an entirely respectable profession. 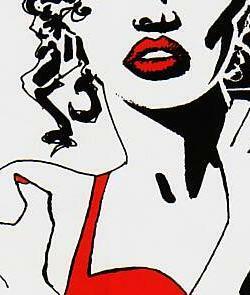 Her success in Europe ironically enticed the American Studio, Paramount Pictures, to offer her a meaty contract. 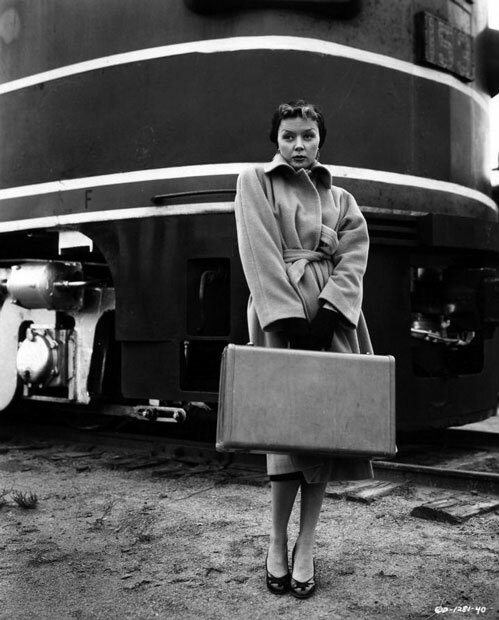 Excited by the possibility of serious/leading roles, Anna agreed and returned to the states. 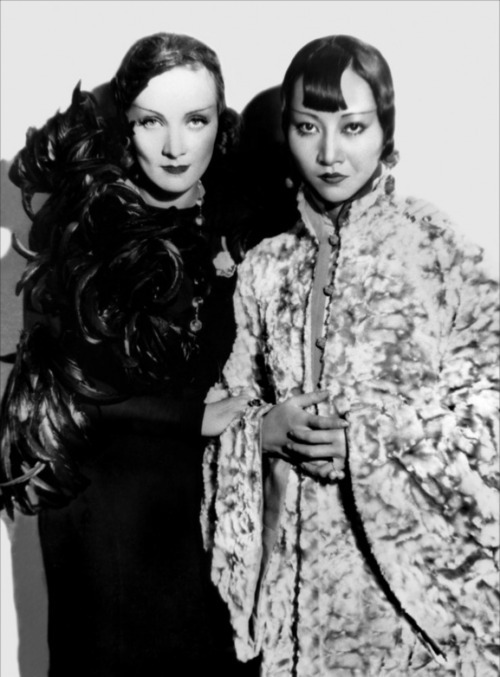 In Shanghai Express (1932), she starred alongside Marlene Dietrich but received very mixed reviews. 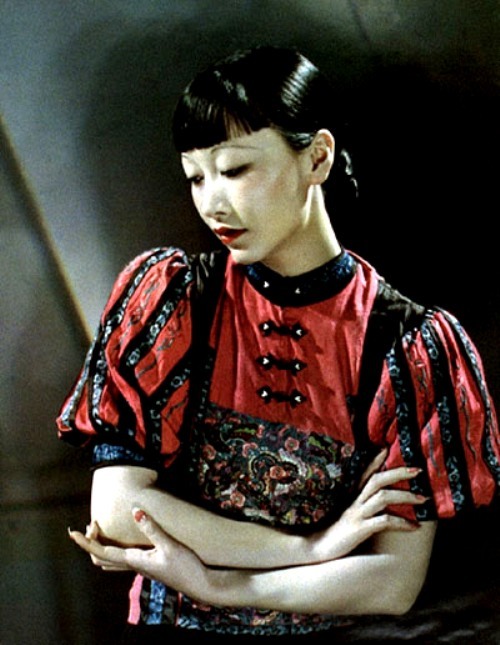 In the 1930s, the popularity of Pearl Buck’s novels, especially The Good Earth, as well as growing American sympathy for China in its struggles with Japanese Imperialism, opened up opportunities for more positive Chinese roles in U.S. films. 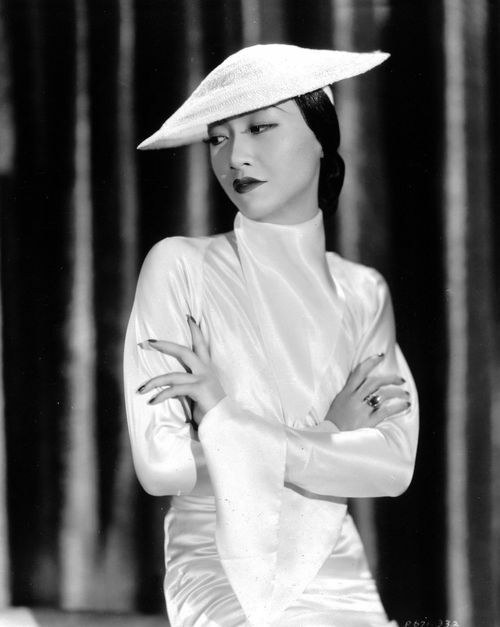 Wong returned to the U.S. in June 1935 with the goal of obtaining the role of O-lan, the lead female character in MGM’s film version of The Good Earth. 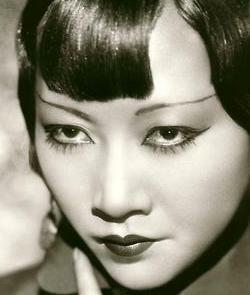 Since its publication in 1931, Wong had made known her desire to play O-lan in a film version of the book; and as early as 1933, Los Angeles newspapers were touting Wong as the best choice for the part. Nevertheless, the studio apparently never seriously considered Wong for the role because Paul Muni, an actor of European descent, was to play O-lan’s husband, Wang Lung. The Chinese government also advised the studio against casting Wong in the role. 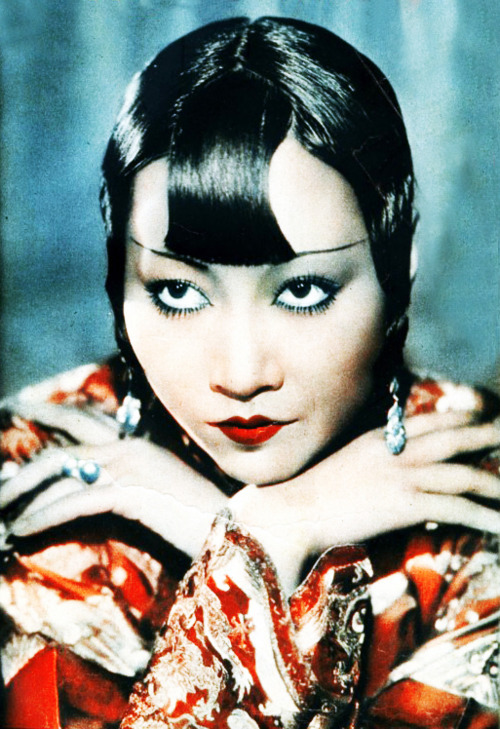 The Chinese advisor to MGM commented: “whenever she appears in a movie, the newspapers print her picture with the caption ‘Anna May again loses face for China’ “. 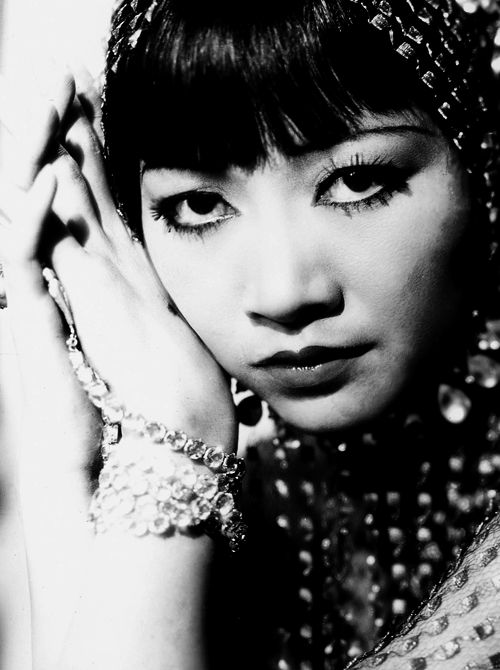 According to Wong, she was instead offered the part of Lotus, a deceitful song girl who helps to destroy the family and seduces the family’s oldest son. 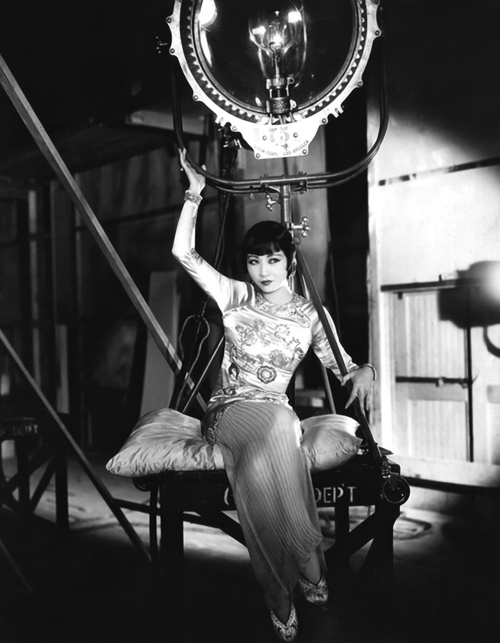 Wong refused the role, telling MGM head of production Irving Thalberg, “If you let me play O-lan, I will be very glad. 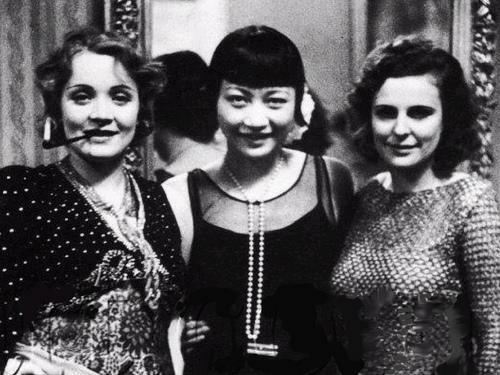 But you’re asking me – with Chinese blood – to do the only unsympathetic role in the picture featuring an all-American cast portraying Chinese characters.” The role Wong hoped for went to Luise Rainer, who won the Best Actress Oscar for her performance. 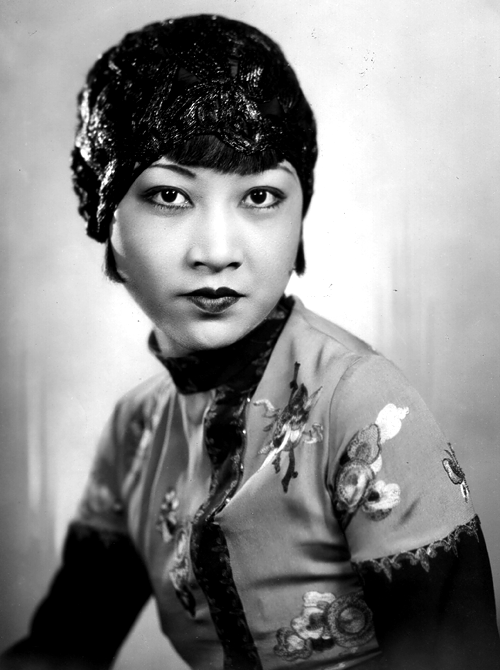 Wong’s sister, Mary Liu Heung Wong, appeared in the film in the role of the Little Bride. 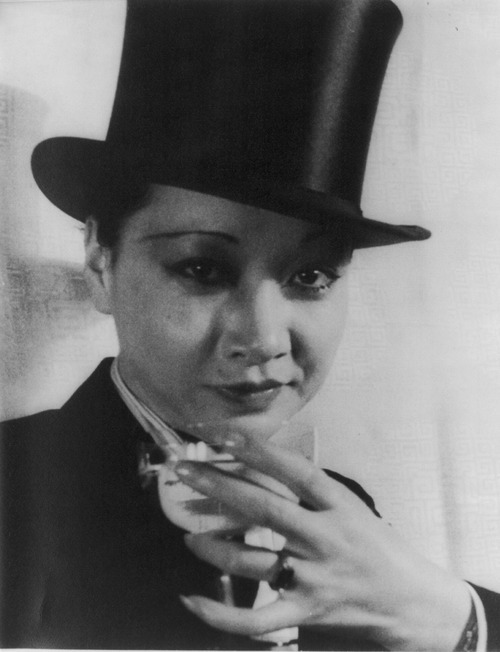 MGM’s refusal to consider Wong for this most high-profile of Chinese characters in U.S. film is remembered today as “one of the most notorious cases of casting discrimination in the 1930s”. 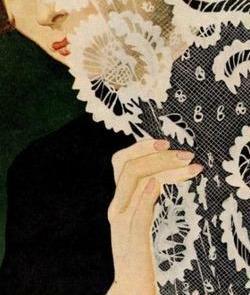 Anna was an incredible actress who became a reluctant victim of the era she lived in. 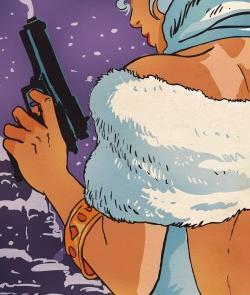 Even at the end of her life she was still combating stereotypical and embarrassing roles. 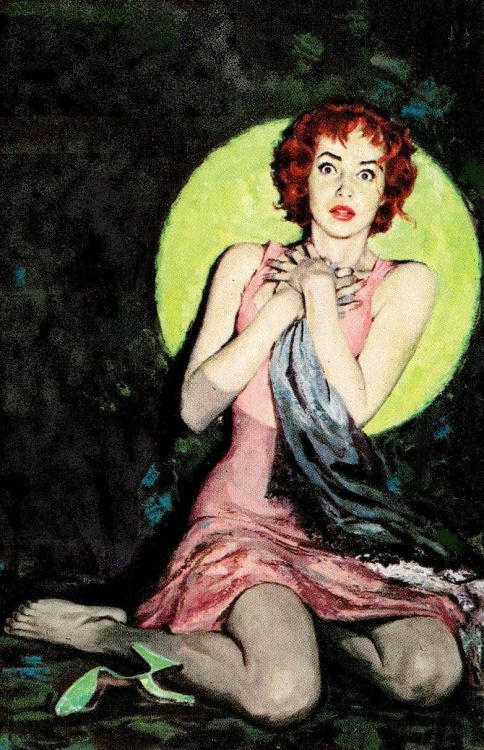 She died on February 3rd, 1961 of a heart attack as she slept in her home. 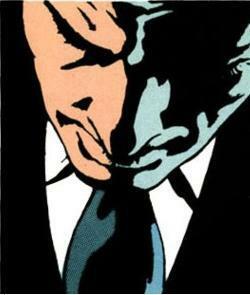 “Why is it that the screen Chinese is always the villain? 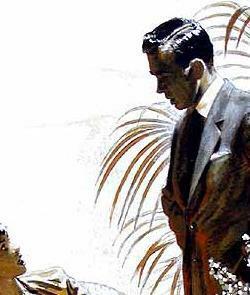 And so crude a villain – murderous, treacherous, a snake in the grass! We are not like that. How could we be, with a civilization that is so many times older than the West? 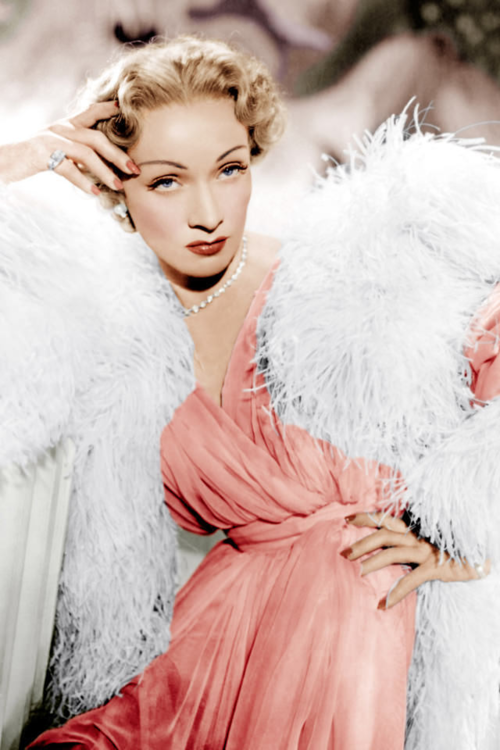 Born Marie Magdalene Dietrich on December 27th 1901, this German-American Actress rose to become one of the most prominent women in the history of show business. Her lifetime spanned both World Wars, and she personally felt the impact of the turbulent era, losing both her father and step-father at an extremely young age. As a teenager, she studied poetry, theatre, and the violin though her dreams of becoming a violinist were shattered by an unfortunate wrist injury. 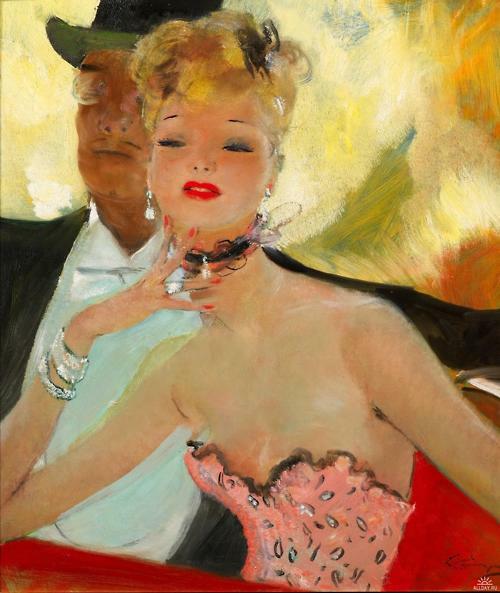 Her first appearances on the stage were as a chorus girl in vaudeville-style shows. Eventually she landed a part in the 1922 film: So sind die Männer (The Little Napoleon), but it wasn’t anything earth shaking. A year later she married Rudolf Sieber, and bore her only child the year after that; a daughter, named Marie Elisabeth Sieber. 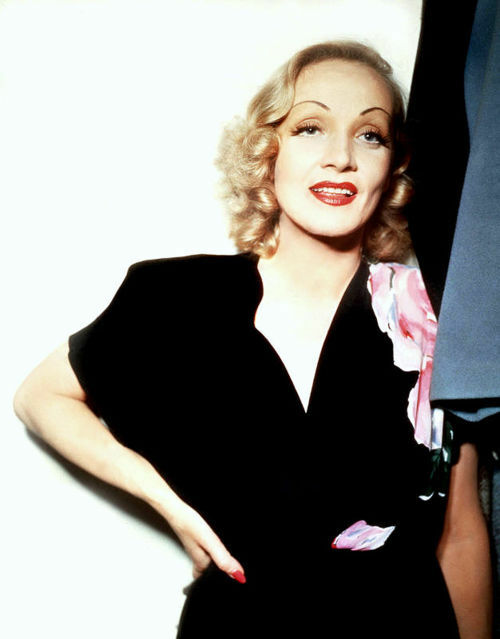 Throughout the remainder of the 1920’s Dietrich continued to land roles on both the stage and film in Berlin. 1929 saw the starlet’s breakthrough. 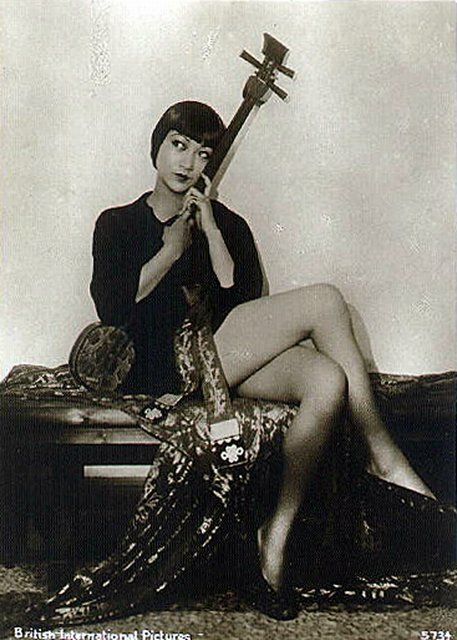 She played the role of the cabaret singer Lola-Lola in the film The Blue Angel. 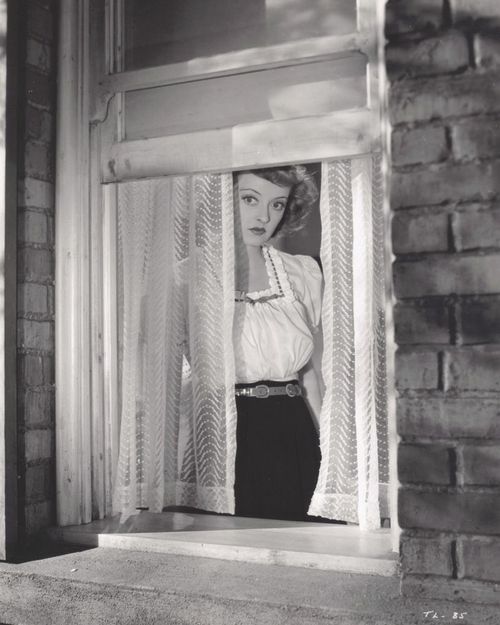 Riding the wave of the film’s success, Marlene relocated to Hollywood, CA on a contract with Paramount Pictures. 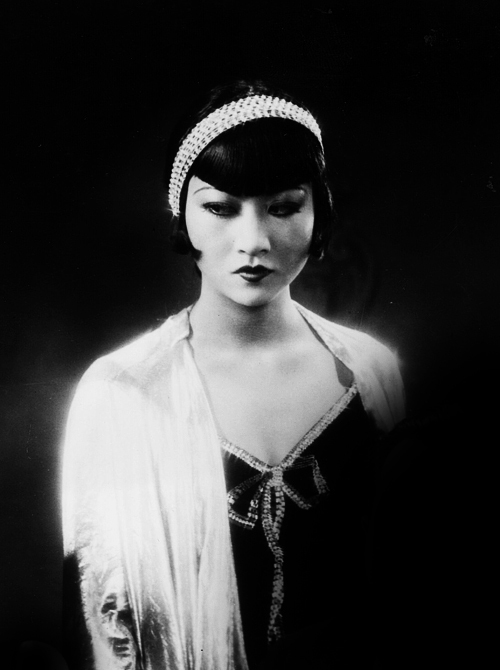 Her first American Film, Morocco, saw her cast again as a cabaret singer and was considered greatly provocative for the era because at one point in the film she wears a man’s white neck-tie and kisses another woman. 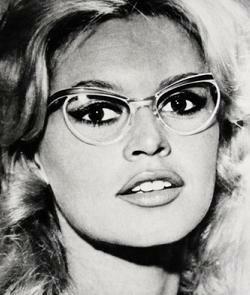 The role earned her an Oscar Nom for “Best Actress in a Leading Role”. She didn’t win. 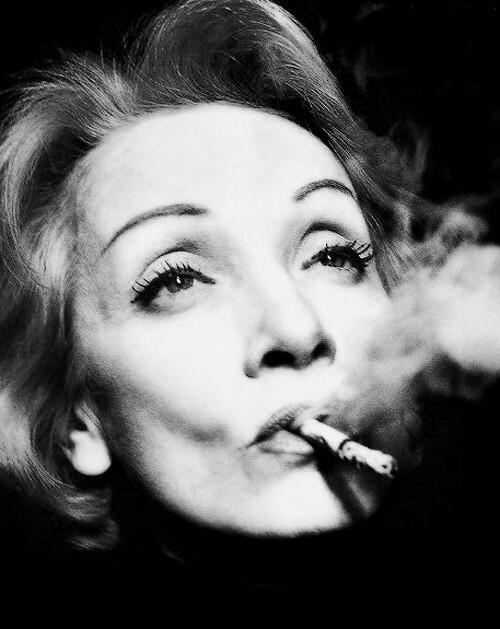 Dietrich went on to star in some of the most cinematically beautiful films in history, including: Dishonored (1931), Blonde Venus (1932), Shanghai Express (1932), The Scarlet Empress (1934), and The Devil is a Woman (1935). 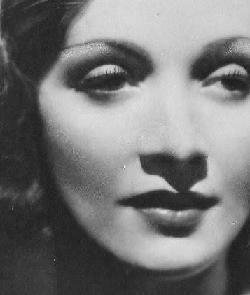 In the late 1930’s while Marlene was in London, she was approached by official representatives of the Nazi party. 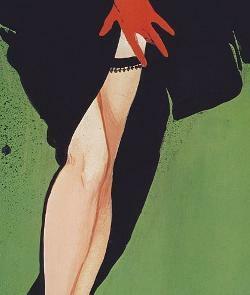 They desired her to return to Germany as the foremost film star of the Third Reich. 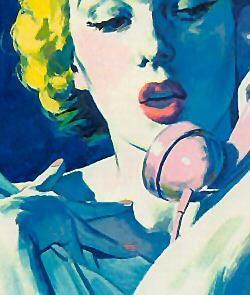 Dietrich refused their lucrative offer and applied for U.S. Citizenship. She was awarded it in 1939. 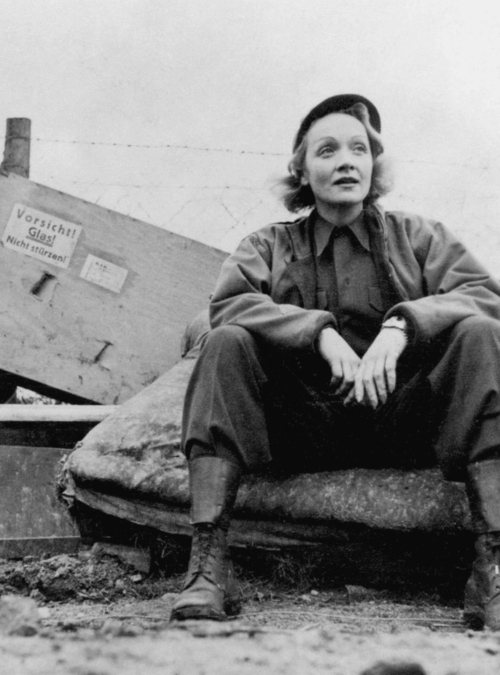 Throughout World Ward II Marlene was a staunch anti-Nazi and was rarely matched in her efforts to raise war bonds. 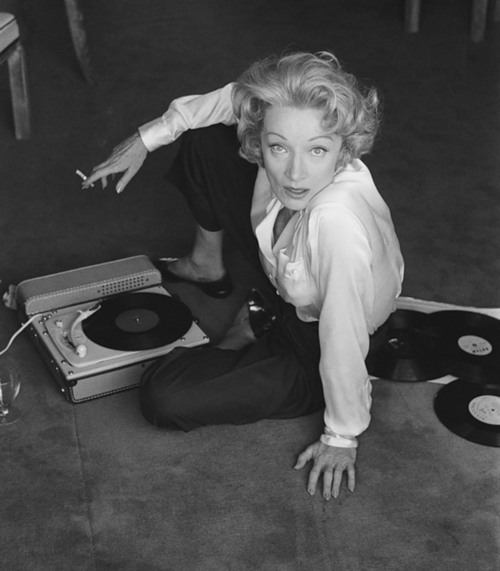 Dietrich employed Burt Bacharach as her musical arranger starting in the mid-1950s; together they refined her nightclub act into a more ambitious theatrical one-woman show with an expanded repertoire. 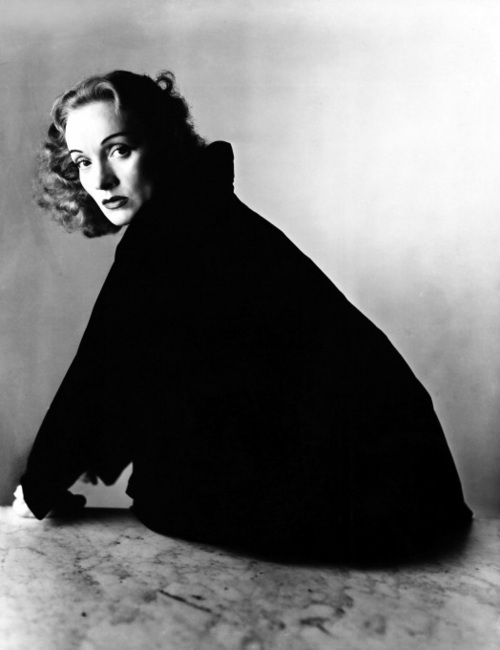 Bacharach’s arrangements helped to disguise Dietrich’s limited vocal range – she was a contralto – and allowed her to perform her songs to maximum dramatic effect. 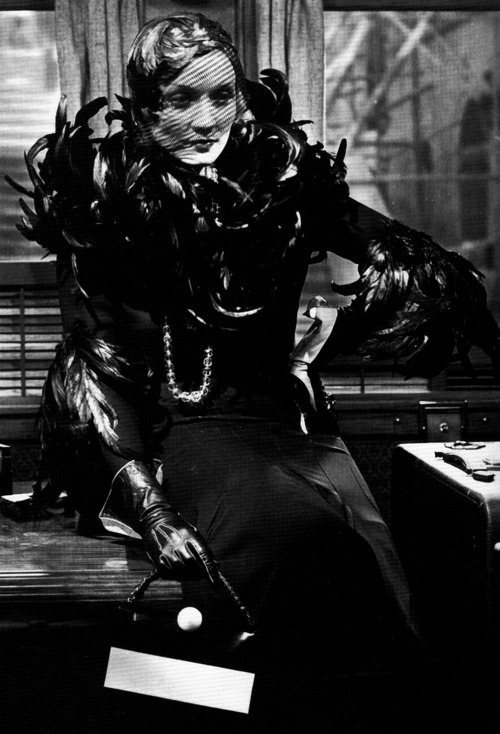 She would often perform the first part of her show in one of her body-hugging dresses and a swansdown coat, and change to top-hat and tails for the second half of the performance. 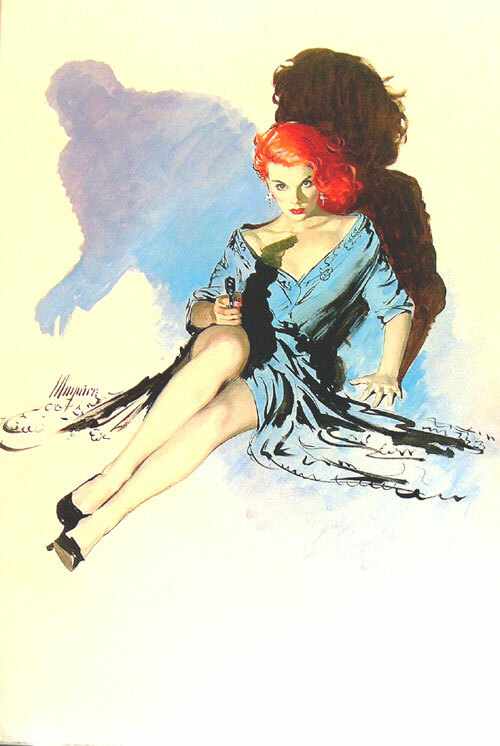 This allowed her to sing songs usually associated with male singers. Late in her life, Marlene’s health took a turn. She suffered from Cervical Cancer and poor circulation in her legs. 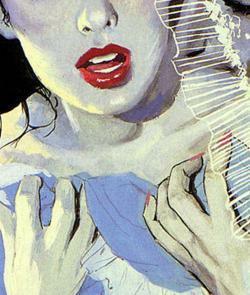 The discomfort led her to be dangerously reliant on painkillers and alcohol. 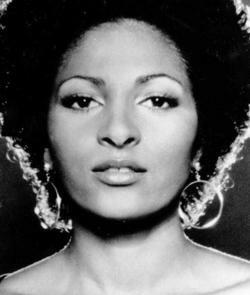 In 1975 she tragically broke her leg during a stage performance in Australia, ending her career. 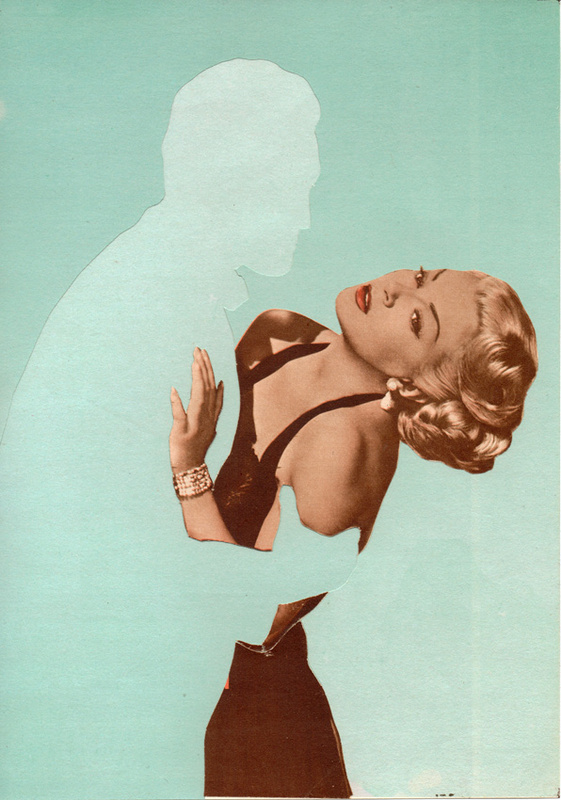 A year later her husband Rudolf succumbed to cancer. 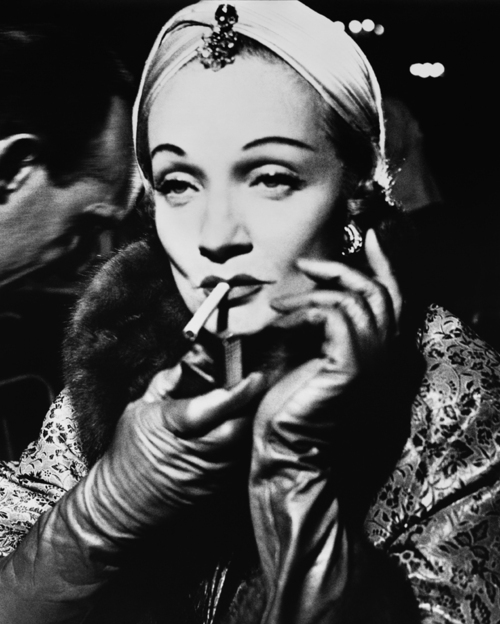 Marlene Dietrich eventually died of renal failure in Paris in 1992. She was 90 years old. 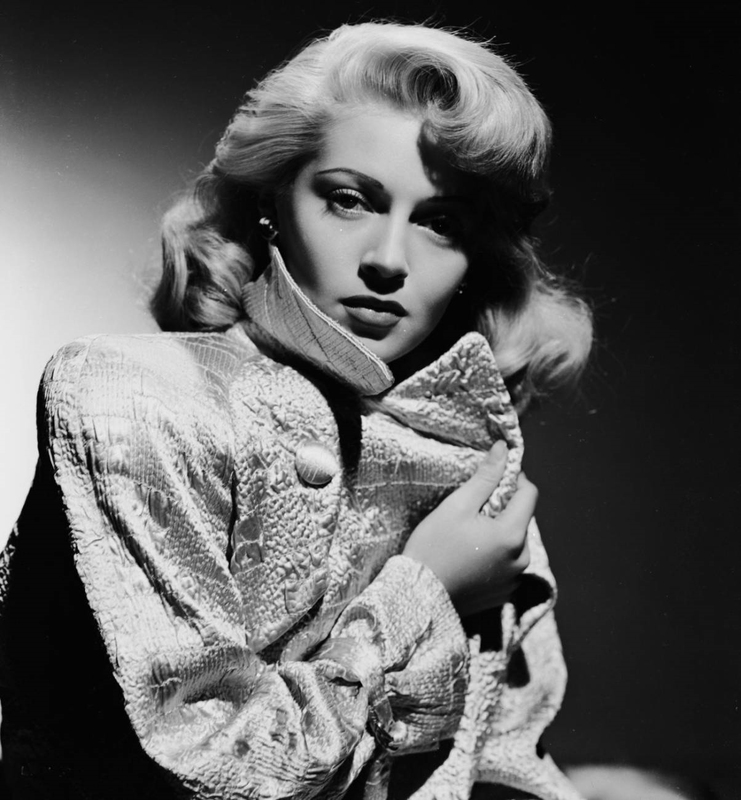 She is an irreplaceable femme fatale figure in the world of film noir. 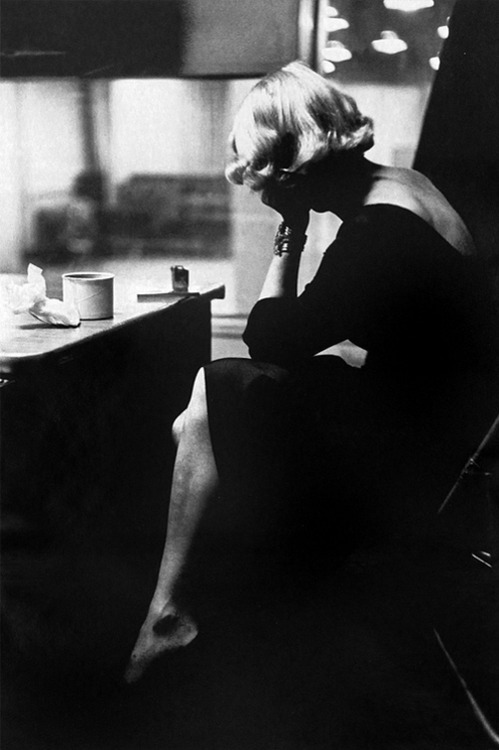 Her iconic image has influenced generations of actresses in the genre across the world.